The vast majority of American gun owners are responsible and abide by the law. However, guns do not belong in the hands of domestic abusers and other people known to violently target women or others in relationships. When an abuser has access to firearms, the victim is 500 percent more likely to be murdered. Unfortunately, the federal laws intended to reduce domestic abusers' access to guns are filled with loopholes. These federal provisions do not apply to many known abusers, and states have sometimes struggled to effectively enforce these laws even when they do apply. The result is a constant stream of news reports about women and others killed by abusers with guns. States must take action to prevent further tragedies. 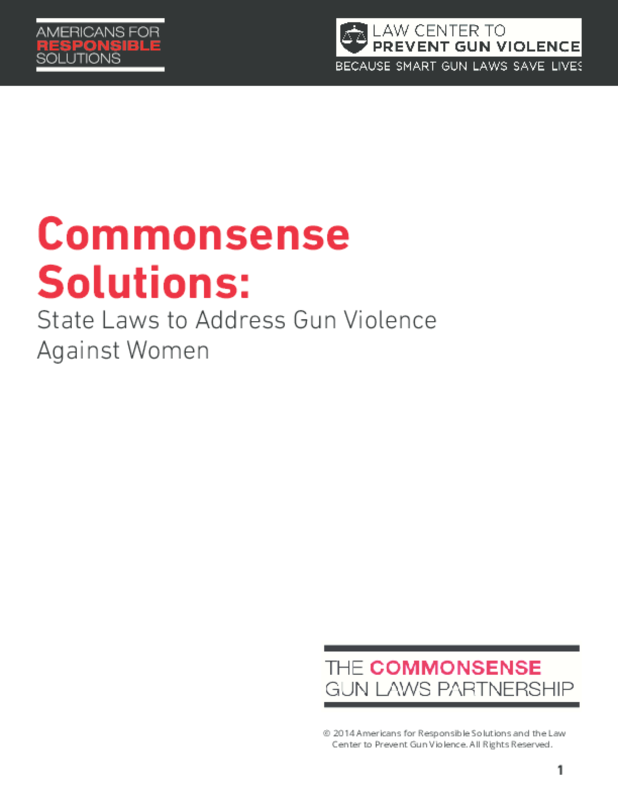 This report provides a series of proposals that state legislators should consider enacting in their states to help protect women and families in abusive situations. These policies go beyond current federal law, but have been proposed in Congress.